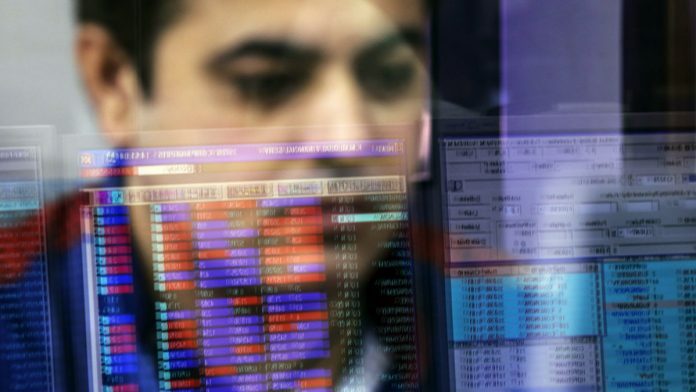 Assets with overnight funds soared to 123 billion rupees last month, from 39 billion rupees in September. Mumbai: Corporate treasury departments in India have become so concerned about credit risk they’re increasingly parking their cash in securities maturing overnight. 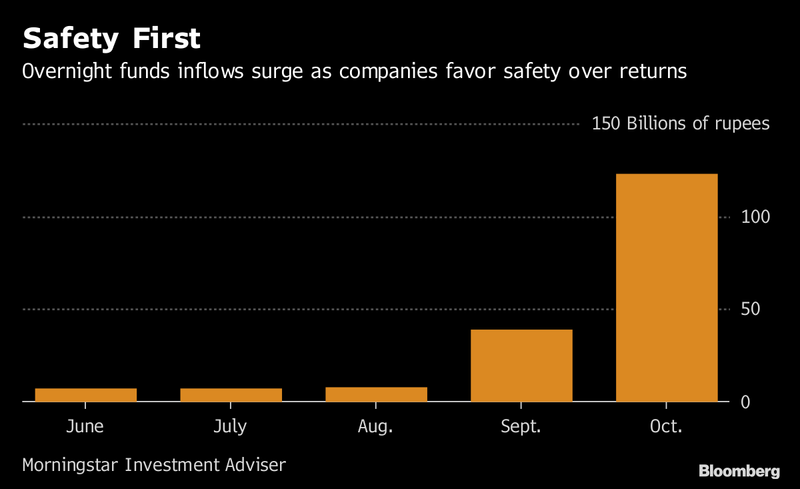 Assets with overnight funds soared to 123 billion rupees ($1.8 billion) last month, from 39 billion rupees in September, as companies chose safety over returns in the wake of a rare debt default, data from Morningstar Investment Adviser India Pvt. show. Strong demand has seen five firms, including Reliance Nippon Life Asset Management Ltd., lining up new offerings. Overnight funds could gain more heft if the regulator tightens rules for money-market funds, which in September suffered the worst outflows since at least April 2007 amid defaults at the IL&FS Group. Strictures such as directing liquid funds to mark to market the value of more bonds, if implemented, will sustain demand as overnight plans don’t face interest rate or credit risks, said Rajeev Radhakrishnan, head of fixed income at SBI Funds Management. The IL&FS stumbles were a reminder that money-market funds, which account for a fourth of 23 trillion rupees of industry assets, are also fraught with risk. Several fund houses marked down their holdings of debt issued by IL&FS, with some liquid funds losing as much as 5 per cent — or half a year’s worth of gains — in a single day. “As a fallout of the IL&FS crisis, institutional investors have been wary about the safety of the portfolios of liquid and ultra-short duration funds,” said Kaustubh Belapurkar, director manager – research at Morningstar. Overnight funds currently offer 125 basis points lower yield than their liquid counterparts that hold treasury bills, commercial paper and certificates of deposit, according to Essel Funds Management. Still, the stress suffered by commercial paper amid the IL&FS crisis means investors are discriminating on credit quality, said Karthik Srinivasan, senior vice president at ICRA Ltd.
That said, the future of overnight funds depends on how the regulatory framework for liquid funds evolves, debt managers say.